Our office offers complete legal services for all your real estate needs. Whether you are buying, selling or leasing a residential or commercial property we have the answers to your questions. Our real estate services range from loan closing, title opinions, deed and document preparation along with various other services. 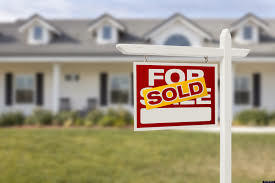 If you are in a real estate transaction or plan to, you may be confused or worried about what steps to take next. Who will prepare the necessary documents and are they in my best interests? Who has to pay for closing costs? What is an abstract and a title opinion? Is my realtor really looking out for me? When can we legally take possession? There is enough stress when purchasing a new home or when buying commercial real estate. You should leave the details of your legal transaction to us. We can help to ensure that your questions are answered and concerns addressed. The Real Estate attorneys at Walker, Billingsley & Bair are dedicated to protecting the rights of Iowans throughout the State of Iowa. With offices in Des Moines and Newton we are located in Central Iowa, but represent clients throughout the state. With over 17 of years legal experience, Beth can assist you with your estate planning and real estate needs.